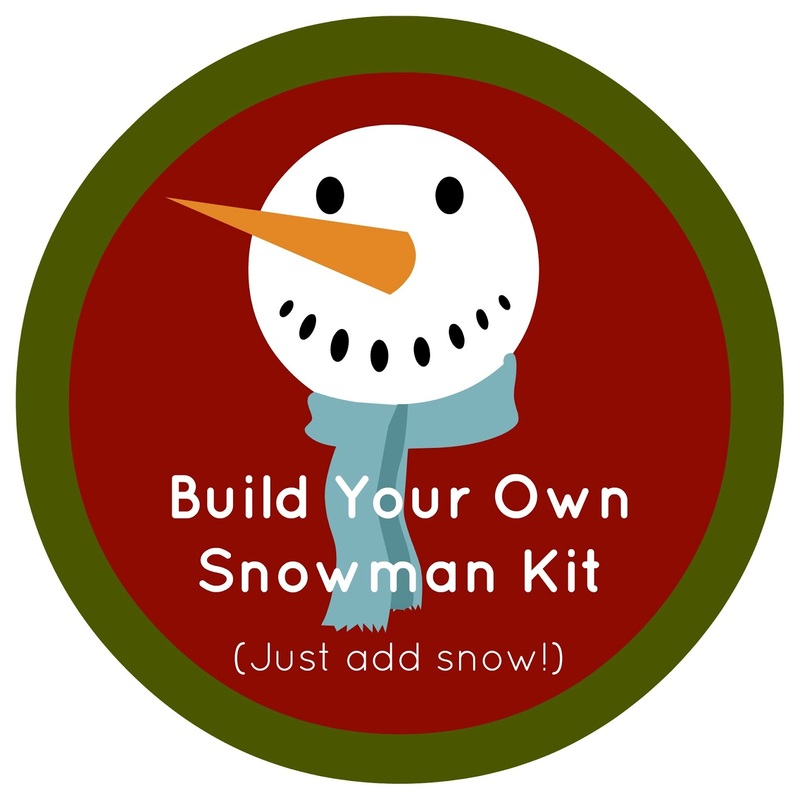 I found the idea for a "Build Your Own Snowman Kit" on Pinterest & immediately knew I wanted to make them for all the little people in my life: my own munchkins, + a nephew, a few nieces, & as a gift for each of the girls to give a classmate at their school Christmas party gift exchange. 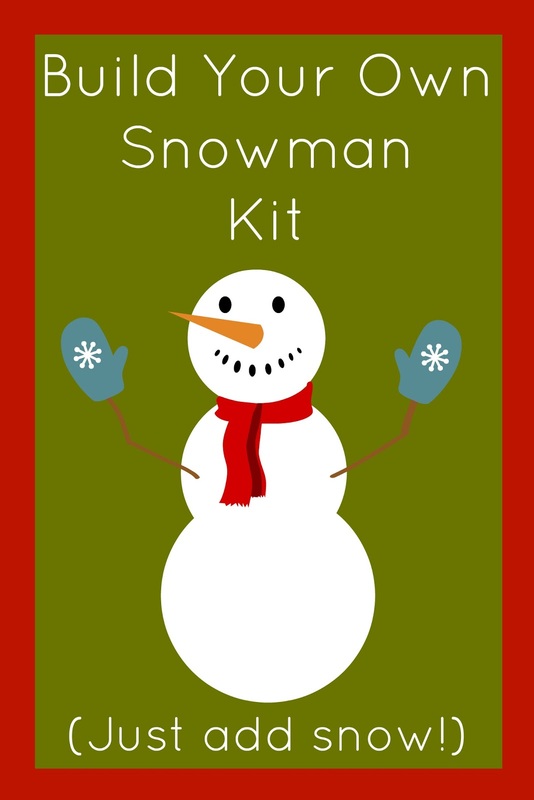 If you search Pinterest for "build your own snowman kits", you'll see tons of different ways to assemble them. 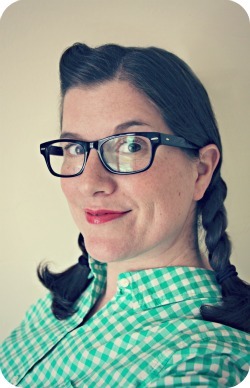 My original inspiration came from The Fickle Pickle. Fold one side of the felt so that the widest part measures 3 inches. Pin in place. 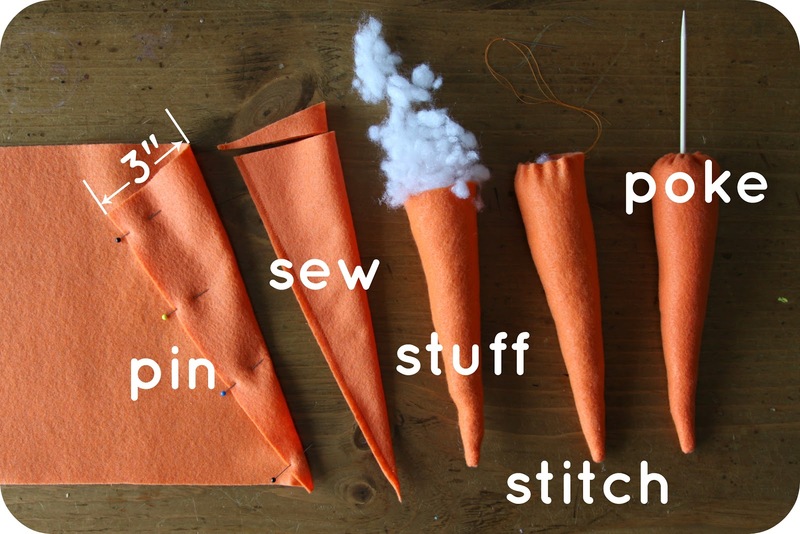 Sew along the long pinned side with your sewing machine. Cut out the the triangle piece. Snip the short edge straight. Hand stitch around the opening using a running stitch. Pull tight & stitch shut. Seven total will go in each kit: 2 for the eyes, 5 for the mouth. 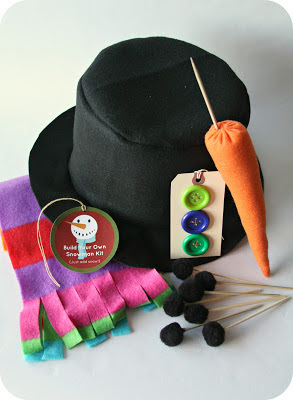 To display the buttons in the kit, I hand-sewed 3 large mis-matched buttons onto a big ole tag. You could really have a lot of fun with the accessories. 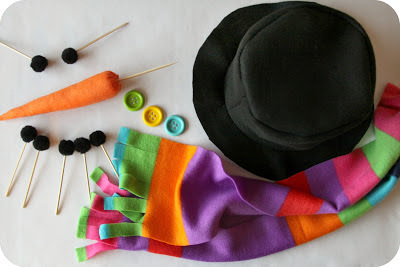 Add: earrings (large faux ones or made from felt), a bow tie, a neck tie, a mustache, glasses, beads for a necklace, a purse, mittens, a pipe, earmuffs, a princess crown, etc. Package up your snowman accessories & top off with a tag. I couldn't find any printable tags for these kits online. So, I made my own & am sharing them with you! I have 2 different styles you can choose from & print yourself! I'm hoping the little people will love their prezzies. Gotta run! I'm shipping these today so they'll make it in time for Christmas. love these, I was thinking of making a kit for my nephew! Now I know how! ADORABLE! I think I have a couple of little nephews who need a kit like this too- hmmmmmm- I better get crafty! So cute! 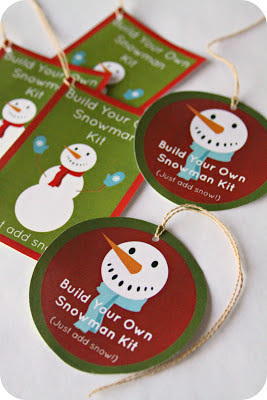 I've seen these on Pinterest before and adore them but sadly, it doesn't snow where we live in the South! Thanks for sharing! Do you know about how much it cost per kit? I'm not totally positive, but I'm guessing around $10. Of course that's if you're making it for one. If you buy some of the supplies in bulk to make multiple kits, it can lower your cost of course. Happy crafting!